Eighty years on from the Battle of Cable Street, I hope this generation will be brave enough when the time comes to say “They Shall Not Pass”.. 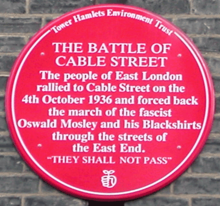 The Battle of Cable St took place 80 years ago on 4th October 1936 and there will be events to mark the anniversary this coming weekend. After all the media in particular is full of pieces remembering anniversaries of events and occasions. Not all of what is printed or posted is that historically accurate and a good deal of it is not particularly enlightening. We might call it an anniversary culture. 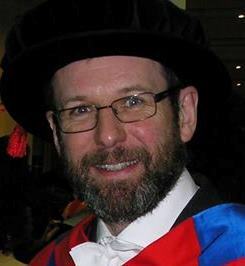 Of course as an historian I contribute to it myself though I do try and look at events that are less well remembered either because they are genuinely obscure (but hopefully of interest) or because they present awkward questions for the present.